Marinades don’t only flavour meat they also tenderise it. Overnight marinating generally creates the most flavour but more delicate meats, like fish and shellfish, will not cope with more than a couple of hours. Similarly, never use salt, lemon, lime or pineapple juice in marinade for longer than two hours. The acidity can be very corrosive and entirely break down meat fibres. 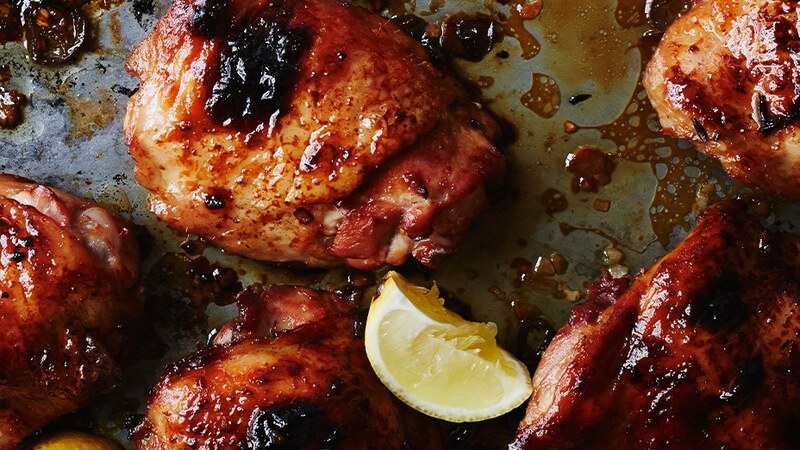 This easy chicken marinade will quickly become your go-to dish. It creates so much flavour, keeping the chicken incredibly moist and outrageously delicious – why not try it at your Street Feast celebration? Combine all ingredients, except for chicken, in a large mixing bowl and mix together. Place chicken in a zip-lock bag and pour marinade over the top. Close securely.